I think I literally had about 20 tabs open on my computer for the last week or so. I'm rebuilding this *old* Burley kiddie-hauling trailer into a lengthened cargo trailer to haul my telescope behind the Mundo. The Zhumell Z8 Dobsonian reflector telescope. 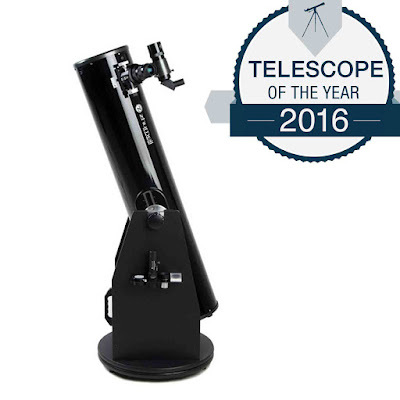 The telescope would need to be hauled with the tube close to parallel with the ground. Standing upright the scope is nearly 5 feet tall. Sitting somewhat parallel to the ground in it's stand it's still nearly 4 feet long. The trailer would need to be modified to have a lengthened bed for starters. The plan was originally to build a second 26" wheel with the same Alex DX32 rim as another wheel I had laying around, which incidentally has a dynamo hub. Cool points were the trailer would be able to power it's own taillights as well as charge accessories, and the large wheels could take 3.0 tires for extra cushioning effect to help protect the delicate telescope from the bigger bumps on the road. Only problem is, Alex doesn't make the DX32 anymore, and I couldn't find anyone with 36 hole still in stock though I found one or two places with a 32. Also, the original steel wheels wouldn't take tires any bigger than 26x1.50. Not nearly big enough to offer any cushioning effect. for the wheels using my spare dyno hub wheel. Anyway, most projects I undertake like this tend to end up getting overly complicated. I start researching something and rather than keep bookmarking pages, I leave tabs open to go back and compare items. In this case I finally relented and started looking for 20" rims and tires that could replace the heavy, narrow steel rims that came with the trailer. The trailer was old enough that it was from a time when Burley was still using 100mm wide, generic front hubs to make up the wheels of the trailer. Nowadays it would seem they (and most other trailer manufactures), have switched to a design utilizing wheels that have a kind of "pop-in" axle. I digress though. So I had a LOT of tabs open. I was canvasing the web for BMX rims that would be wide enough to allow me to use some 3.0 size tires. 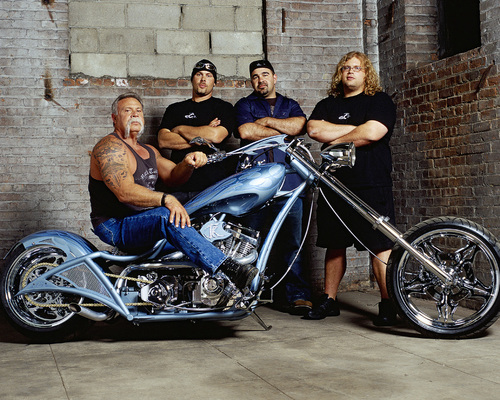 The custom bicycle chopper crowd likes their fat rubber and so there's no shortage of cheap Chinese tires that are made to look like they could be on some sort of chopper-type bicycle made to mimic one of those ridiculous bikes from that one show on that cable channel. I really didn't want tires on this trailer with a tread that looked like flames. Just not my thing really, so I had a LOT of tabs open trying to find wide tires with a decent tread that didn't look like something belonging on a kid's Schwinn Stingray from 1977. This was the look I was hoping to avoid. Seriously. This offends my sense of aesthetics. And as often seems to be the case with these obsessive searches. I finally just gave up. 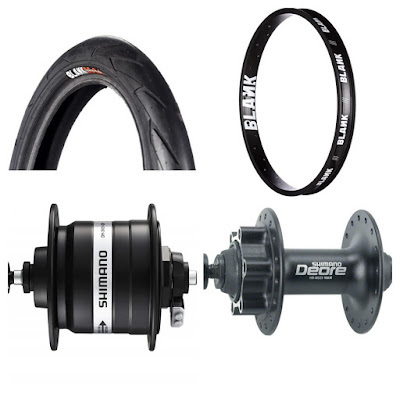 I found a good price on rims and tires over on Chain Reaction Cycles, so I just sighed, tired of the endless circling trying to figure it all out. Everything went in the shopping cart and I threw in a basic Shimano hub, hoping it would somewhat match the 36 hole dynamo hub I'd purchased a week earlier. The flange size is a lot smaller, but pretty much no front hub has as big of a flange diameter as a Shimano dyno hub. It's a hodge-podge for sure. Two mis-matched hubs to offend my aesthetic sensibilities. 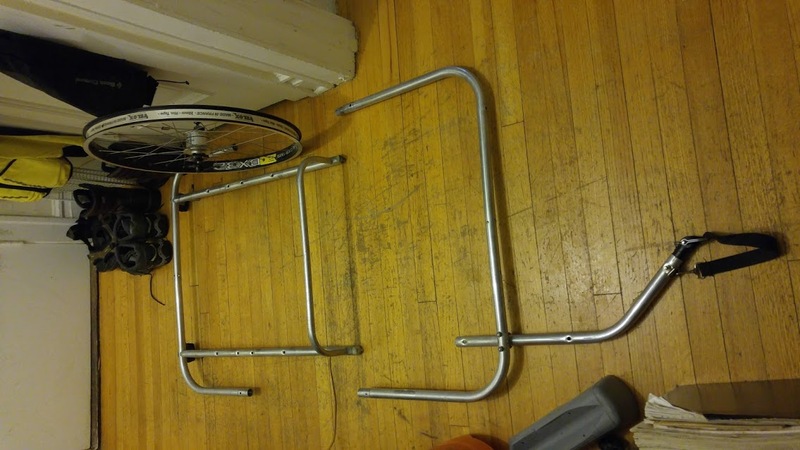 Extra bits of aluminum tubing and some aluminum right angle bars arrived earlier in the week. Necessary supplies to extend the length of the trailer of course increased the cost along with the purchase of material to make beefier wheels that would provide more cushioning. The question always remains - does building or converting something end up costing more than if you'd simply bought the item (or something close to it), outright? Lengthy searching for commercially available trailers pretty much turned up nothing. The length of the bed on most two-wheeled bicycle trailers would be too short to allow me to haul my telescope in a safe manner. There were only two options I could find that would even come close and neither one met the criteria of having wheels that would accept large volume tires. The Surly Bill trailer with it's hell-no-the-hitch-doesn't-come-with-it, ridiculous total price of over $1000 was one option. The only other option was the Bikes at Work 64A model trailer. Still coming in at a spit-your-coffee-out price of $875, it was out of the question as well. At least at this point I can be confident that even though this current conversion project has exceeded my initial cost estimates, it's nowhere near as expensive as the above options. Hell, what I will have put into converting this old Burley trailer will easily be a tiny fraction of the cost of either of the two trailers above and I'll have the advantage of being able to design it specifically to haul my telescope without needing to perform any other modifications to an already costly product. Stay tuned as the Franken-trailer begins to take shape. Nice work Matt. Surly stuff is soooooooooo expensive. 20" Trials tires are sometime pretty fat, but they run on a 19" rim which is a bit obscure. 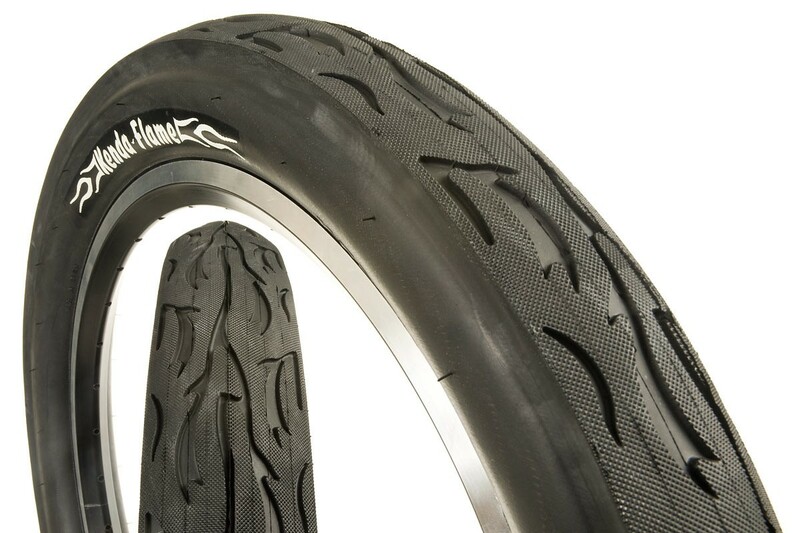 They are normally very knobbly too, with soft rubber compound.